For the first time ever, researchers have discovered comet dust (!) on the earth's surface. The extraterrestrial particles were found preserved in the ice and snow of Antarctica, which Science Magazine's Ilima Loomis reports could serve as "a promising new source of this material." 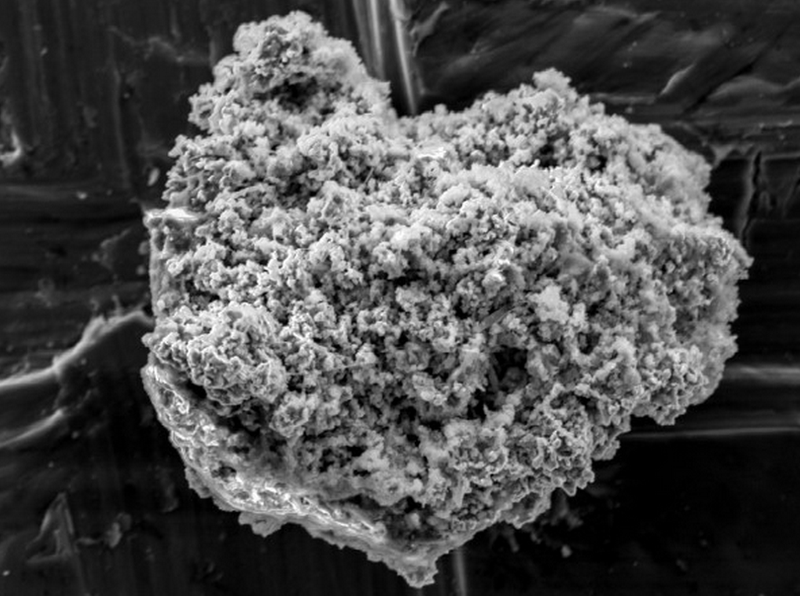 Above: A particle of comet dust, recently recovered from Antarctic ice, as seen through an electron microscope | Photo Credit: Takaaki Noguchi, a meteorite researcher at Kyushu University in Fukuoka, Japan and lead author of the investigation.